The data which changes over a period of time can be displayed through a line graph. ● Points are joined by the line segments. How to Construct a Line Graph? On a graph, draw two lines perpendicular to each other intersecting at O. The horizontal line is x-axis and vertical line is y-axis. Mark points at equal intervals along x-axis and write the names of the data items whose values are to be marked. 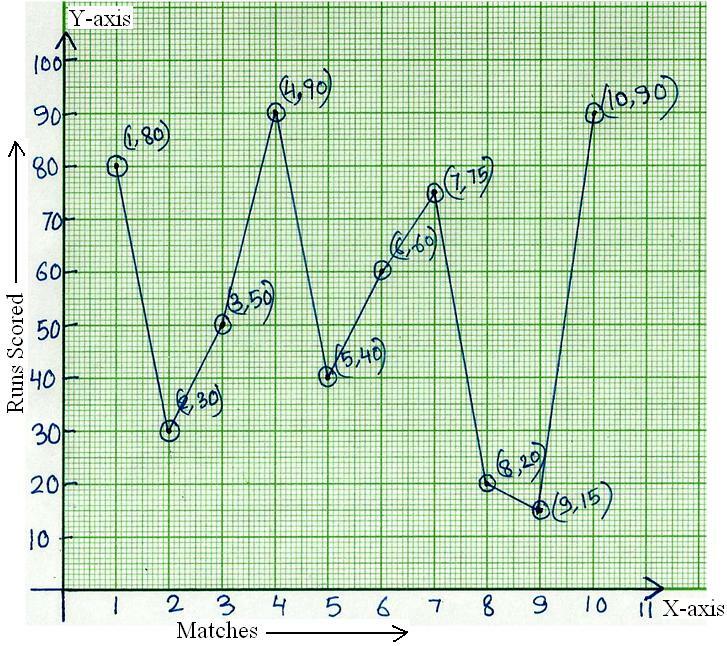 Along the y-axis, choose an appropriate scale considering the given values. 1. The following table gives the information of the sum scored by McKay in 10 matches. 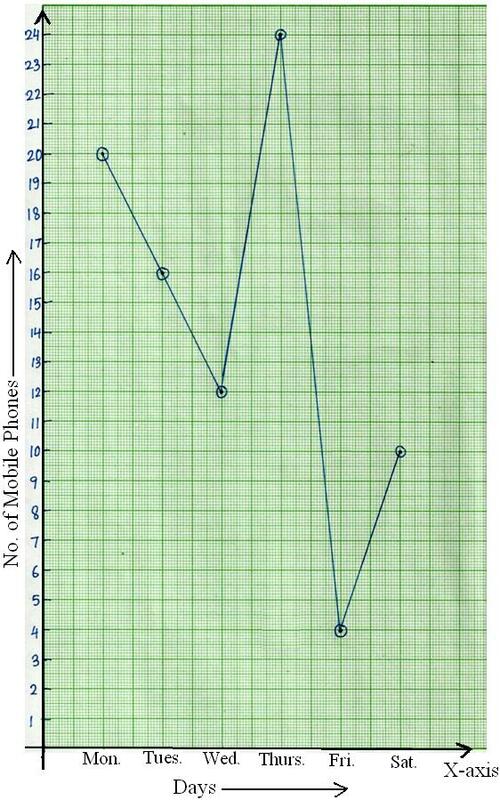 Represent this information using line graph. Days Mon. Tues. Wed. Thurs. Fri. Sat. Represent the above data by a line graph.